Sometimes, there simply is no room in your business life to be a ‘people pleaser’ all the time. Taking a page from Steve Jobs, we learn that successful and innovative people know when to say “no”. We forget that “No” can be a complete sentence. It’s short, to-the-point, and most importantly, it helps you stay focused on the aspects of your job which actually do matter. 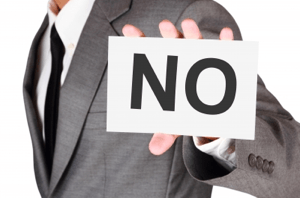 Why are we afraid to say no? Why Are We So Afraid to Say No? “No” is about the most negative word there is. Many of us have been conditioned to believe that this word is somehow impolite, or even mean. Therefore, in an attempt to protect the feelings of others, we wind up saying “yes” to more questions or requests than we might otherwise. There is a reason the “yes man” is used as a punchline. The implication is that these are people who agree with every idea their boss comes up with, even bad ones, simply because they are afraid that doing otherwise will cost them their reputation, or position. This is simply not true. 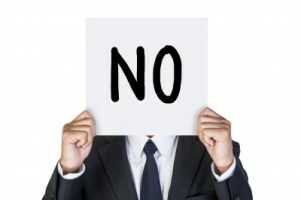 Saying “no” not only boosts your overall productivity by allowing you to focus on the most important tasks, but it may also let you distinguish yourself by showing a little backbone, when others are too afraid to do the same. I was once pitching some ideas to the CEO of a prospective client business; this was for a large software development project. Obviously, something of that scale requires a lot of expert knowledge, so imagine my surprise when he told me he had been handling this entire project on his own up to this point. I could have said something like “That’s great,” but instead I said something else altogether. I flat-out told him that I thought his approach was wrong. This may seem like a risky move in an interview setting, but I was able to immediately back up my statement. I told him what I would do differently, and why I thought my ideas were better for his business. Rather than being offended by my boldness, he listened carefully to what I had to say. Then he hired me on the spot! He told me that he had never been “corrected” like that by anyone in his company before. They were all afraid to say no to the boss. He was impressed with the confidence I had in my own methods. I brought in my team, and we solved his problem. 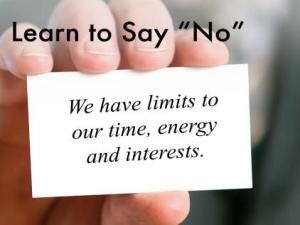 How Will You Know When to Say “No”? Some “no”-worthy situations are glaringly obvious. 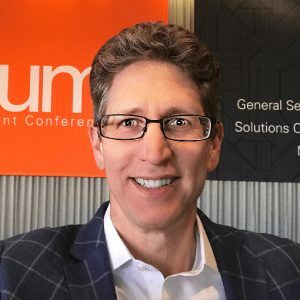 If you were hired as a software engineer, and a business begin asking you to help out with their accounting, you can feel pretty justified in declining, because they are asking you something totally out of the ordinary. Ask probing questions about the task. Get an absolutely clear outline of the expectations and demands that would be placed on you, should you accept. All this being said, it is still very important to keep this conversation amenable. You are not interrogating this person, remember. This is not an episode of NCIS, and you shouldn’t make your coworkers feel that way. Be firm in your questioning, but not harsh. Imagine the number of ideas and opportunities that fell into the lap of someone like Steve Jobs (check out the excellent autobiography of him by Walter Isaacson since the details are fascinating). He must have been inundated with requests for more of his time and attention. It stands to reason that a man like that would have said “I’m actually as proud of the things we haven’t done as the things I have done.” Consider how different his business might have turned out if he kept getting distracted by smaller, less meaningful tasks. Or what if he never asserted his own ideas, even when facing down shareholders, lawyers, or other high-pressure situations. 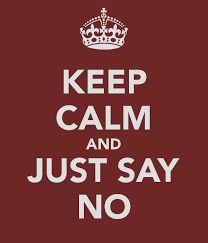 There is a time and place to say “no”, and being able to recognize it is a big part of being successful. Even though we may have been conditioned to avoid saying it for fear of offending others, saying “yes” to too many things could actually hurt the whole business. It is okay, even imperative, to recognize what you can and can not take on, and telling others so will help you be a more productive and focused team member. Jessica Heischel contributed to this article.